One of the best ways to learn is to have target dates for which to perform for others. 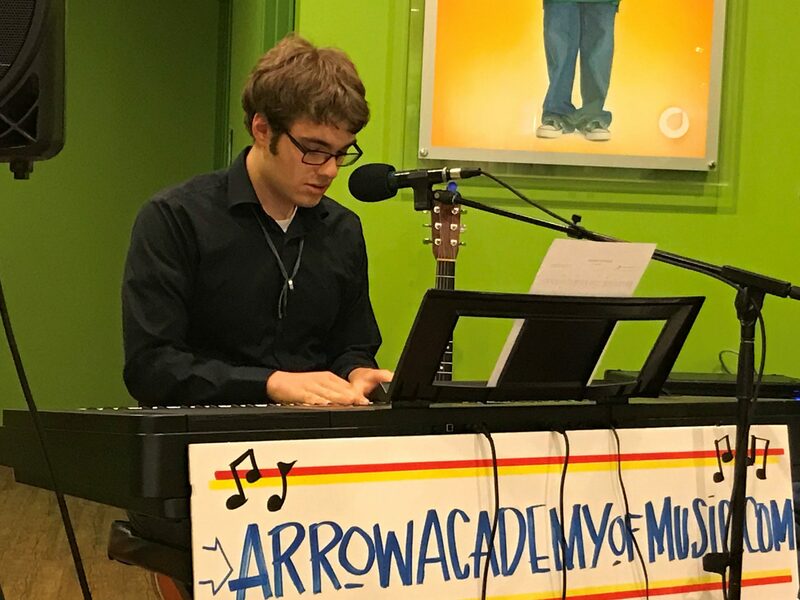 Exciting performances is one of the many things that set us apart at Arrow Academy of Music. Held in early October, we gather our families for a giant picnic at Cottonwood Recreation Area near Saylorville. Students play solos by the fire in a relaxed and friendly atmosphere. With lots of food, marshmallows to roast, and a playground for siblings, this is a fun, family event! 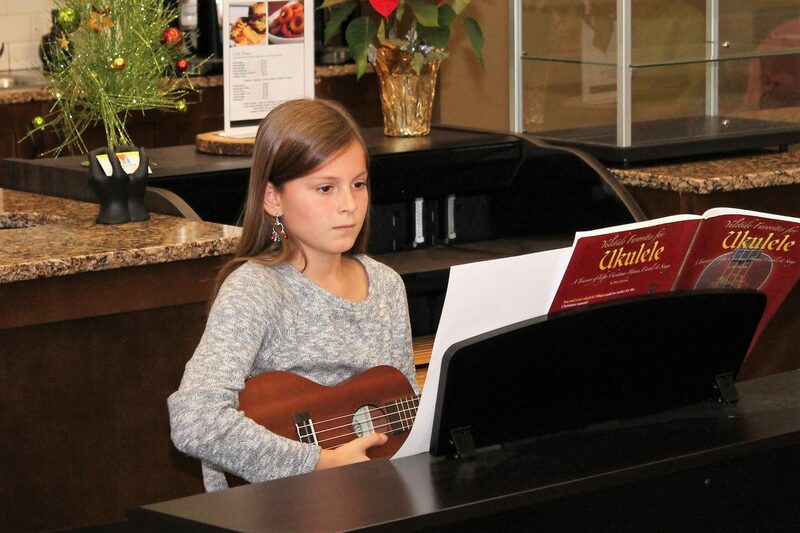 In December, we love to share our students’ music with some of our special community members in local nursing homes and assisted living residences. Small groups of 15 students gather at these arranged places to share music, joy, gifts, and love. Our signature event, Arrow Fest, is held in late winter. Unique and rewarding, this is an ensemble concert, where students learn what it’s like to be conducted and to play a part like they would in a band or orchestra. 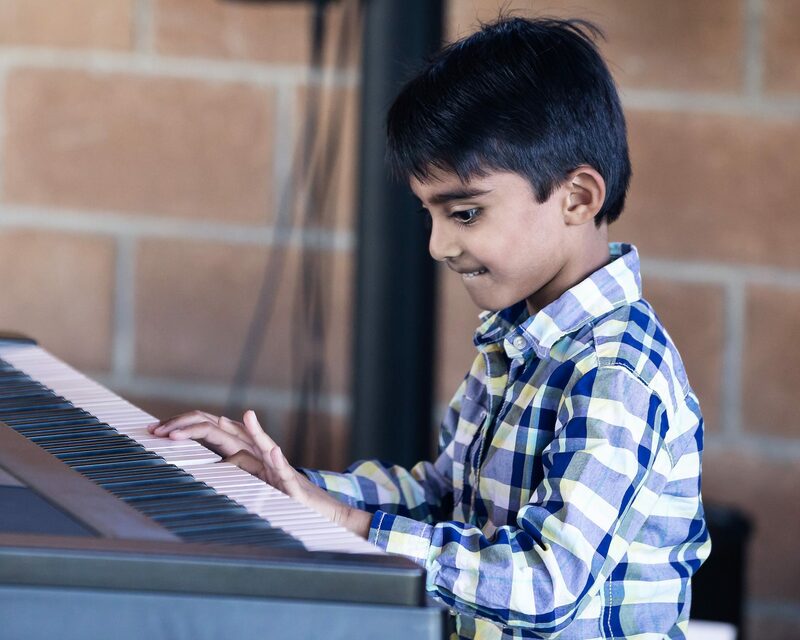 We transport all 20 of our keyboards to one location so students of the same level can play in a very large group. For extra fun, students​ ​dress up in costumes and bring food pantry donations to give back to the community​.​ Level 6 graduates perform their showcase pieces at this concert as well. 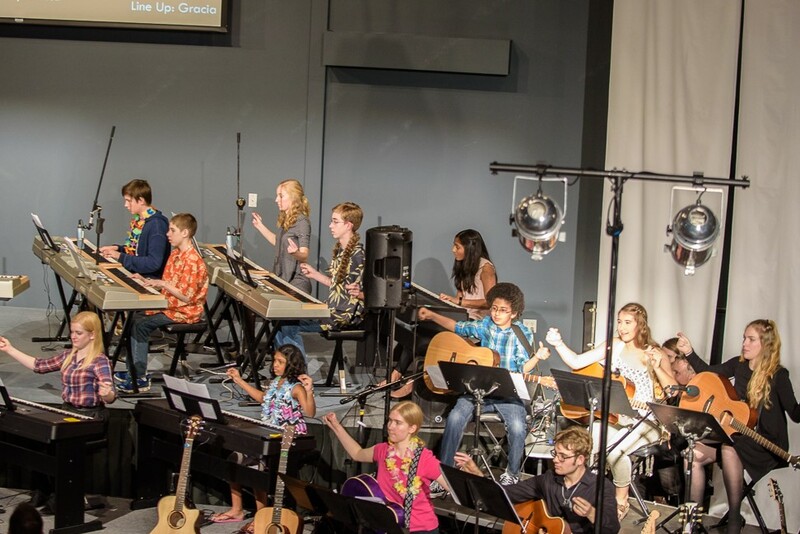 In the spring, we gather for a public gig – partnering with Orange Leaf Yogurt Shop in Urbandale. Taking turns for a continuous show, students play solos for family, friends, and other patrons. Students receive a free yogurt after their performance as a special treat.